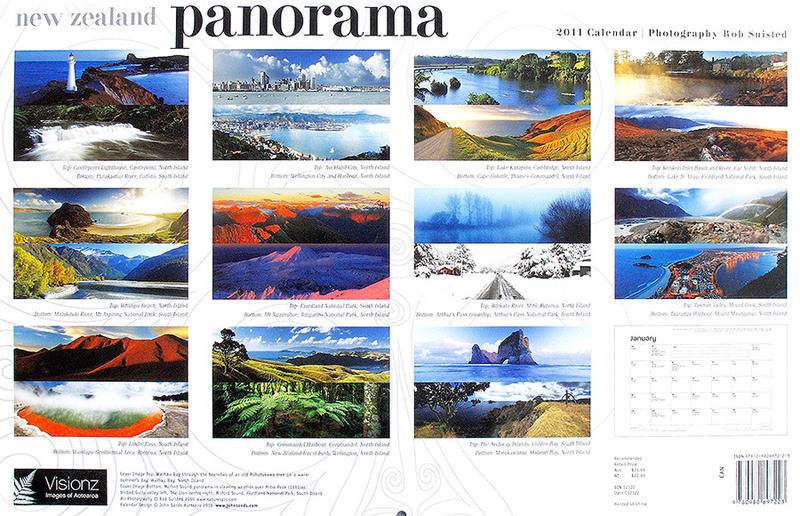 The panorama calendar does look interesting but I’d much prefer a proper wide format calendar rather than having two images stacked on each page. 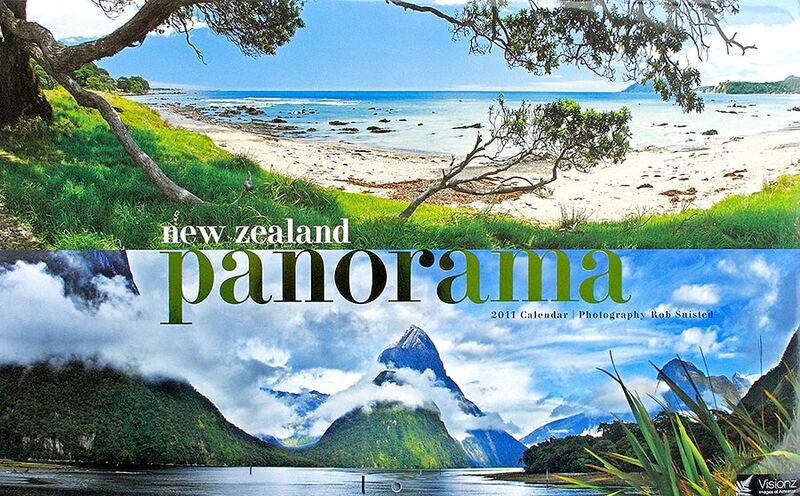 When I lived in the UK our annual trip to the Destinations Travel Show was partly so we could pick up a free Colin Prior panoramic calendar that one stand seemed to give away every year. 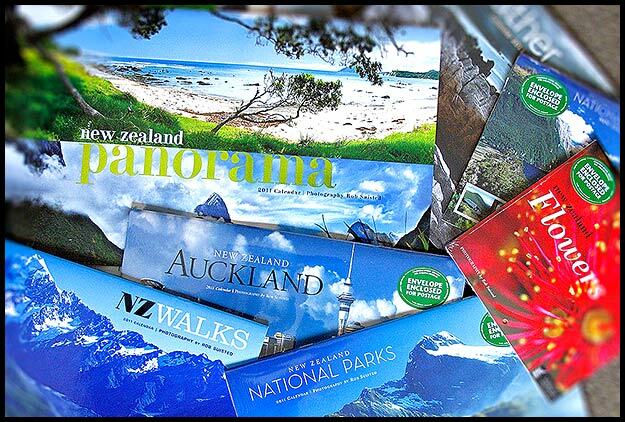 There are so many calendars out these days, coupled with the variety of online places where anyone can make calendars from their own photos, that the choice is almost overwhelming. The last few years I’ve made calenders for family using online print shops, I like being able to have all the relevant dates printed so I don’t have to remember birthdays etc. A bespoke calendar service would be nice – printed to order with custom entries (though obviously more expensive than bulk printed generic calenders). Ever thought of doing a digital version (i.e. wallpapers with calendar entries) and charging a subscription fee to get a new one each month? Awesome to see this in print – Look forward to seeing it in the shops. Not sure about the double images, I think these images are so spectacular, they should perhaps stand alone. Yes, I’d have to agree with a single image focus being preferred, but as you probably know, the format is very hard to design into the standard paper size. It’s had good feedback so far, so will be interesting to see how it sells. As for a bespoke calendar service, I hadn’t heard about this before so might look into it. The size of our market here is so small so it might be hard to make a success of it? 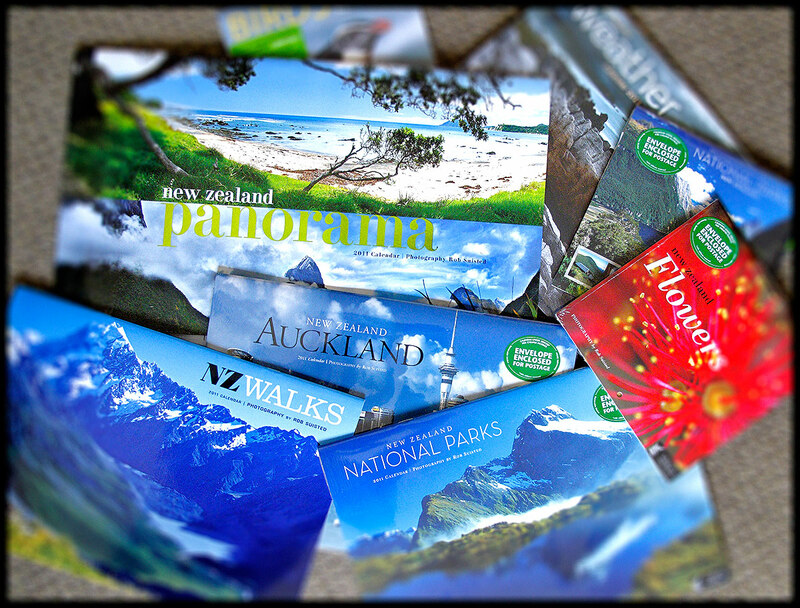 You're reading New Zealand calendar season starting already at Nature’s Pic Images Blog.